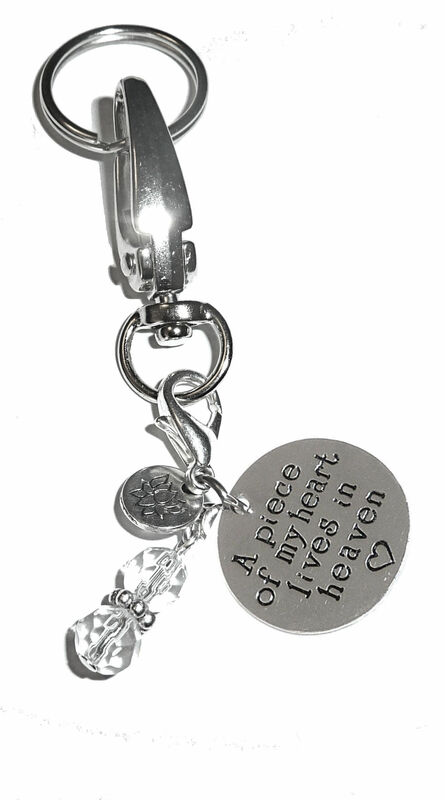 HomeKey ChainsKey Chain Message CharmsA Piece Of My Heart Keychain Charm – Women’s Purse or Necklace Charm – Comes in a Gift Box! 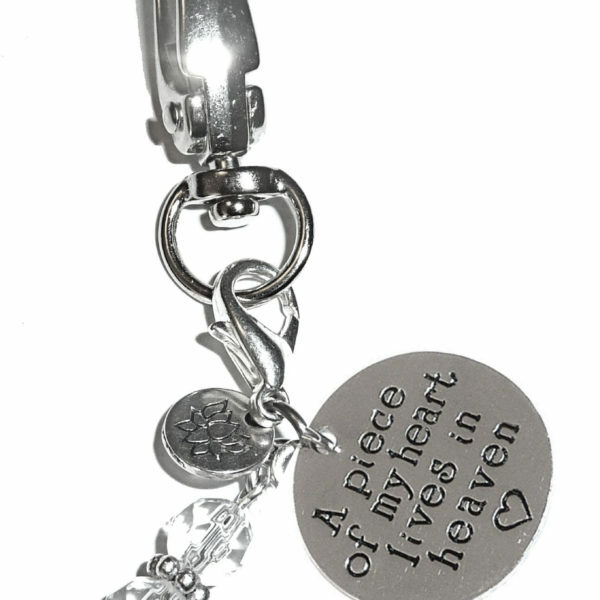 A Piece Of My Heart Keychain Charm – Women’s Purse or Necklace Charm – Comes in a Gift Box! 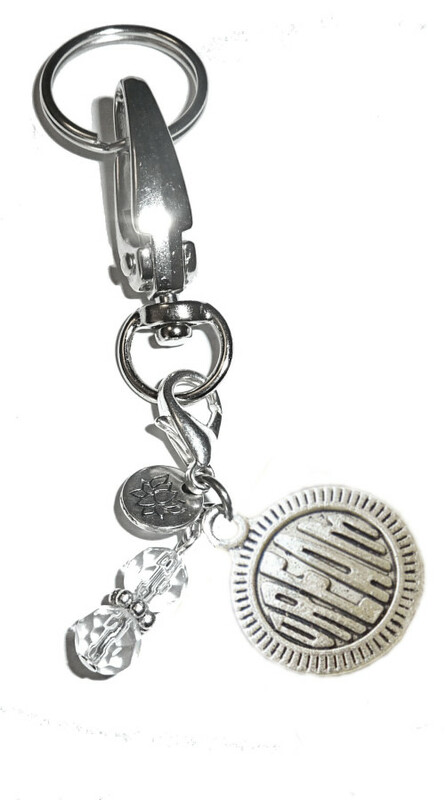 Keep track of your keys in style with this Beautiful Key chain ring. About 3″ in length, depending on the charm. 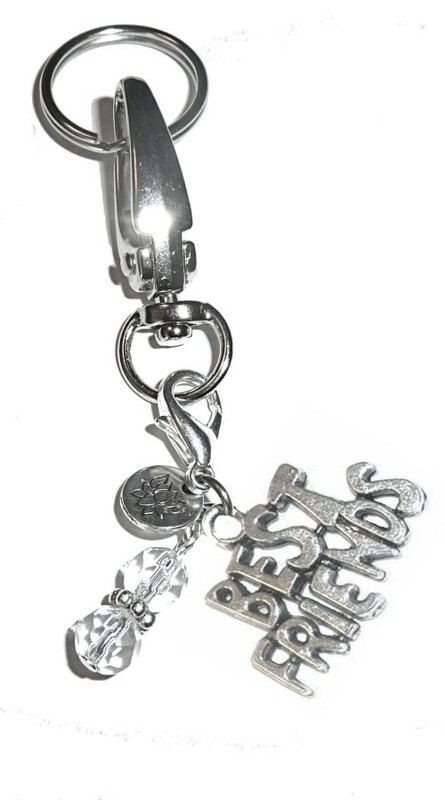 Charm detaches and can hook to anything, You can purchase more than one and hang them from the same key ring to make double the statement!! Comes in a beautiful gift box. 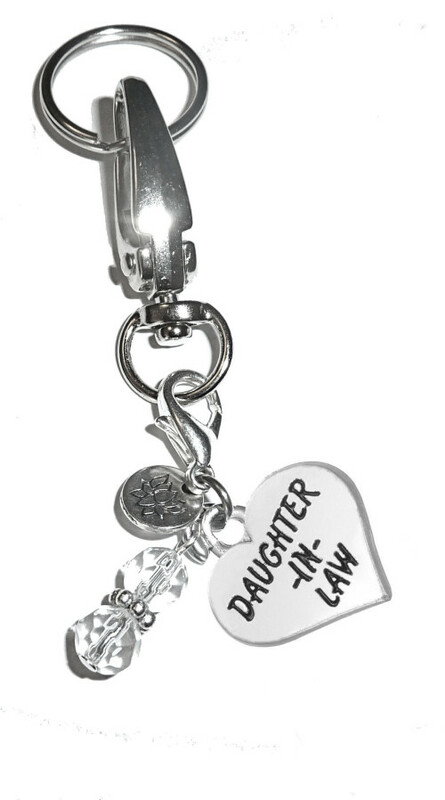 Perfect gift for the women in your life. 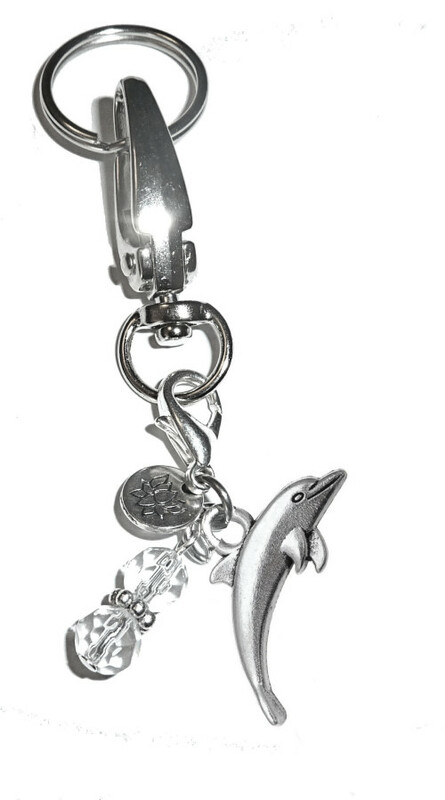 Can hook on a necklace or bracelet to create one of kind charming jewelry. Made by hand in the USA! Strong hooks and stainless steel jump rings.